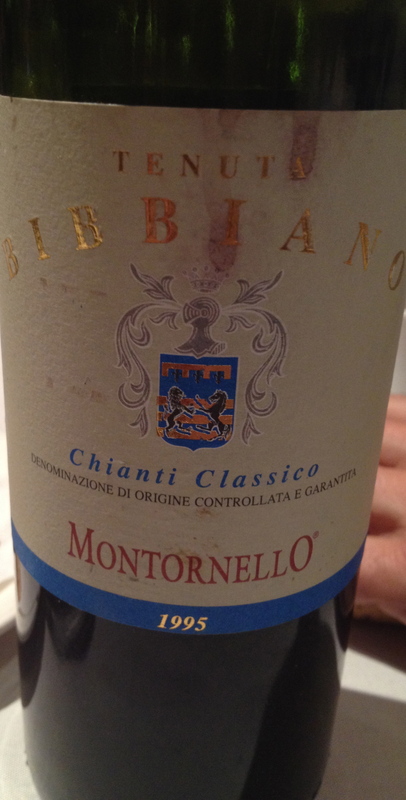 Bibbiano: Chianti Classico at its Best! 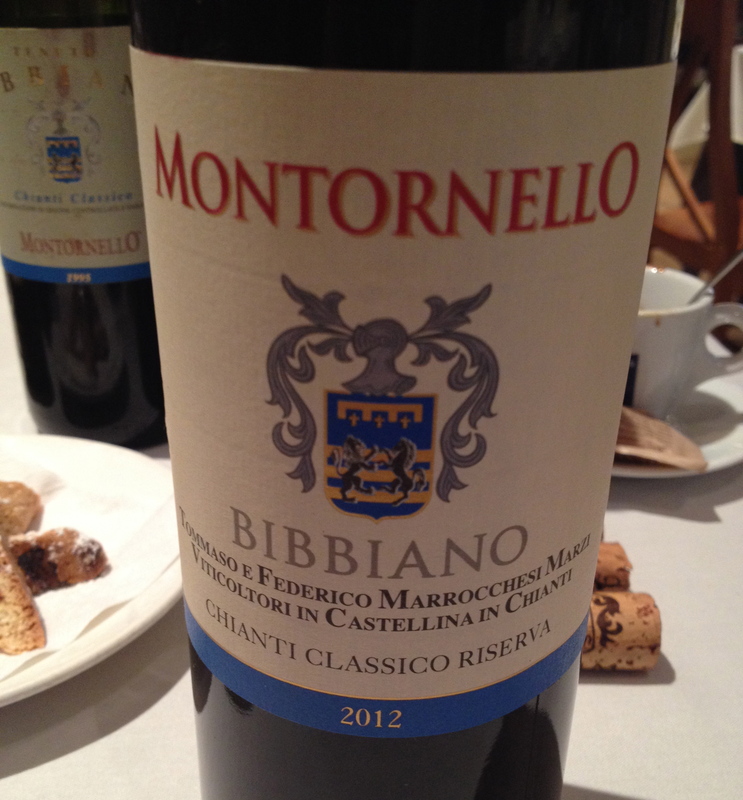 Tommaso Marrocchesi Marsi and his brother Federico are the owners of Bibbiano. I have tasted their wines before and really liked them but recently I had the chance to sit down with Tommaso and discuss the wines over lunch. Tommaso is very passionate about the Sanviovese grape, Tuscany and Chianti Classico. The winery was founded in 1865 and he and his brother are the fifth generation of the family at the winery. The winery is located in Castellina in Chianti overlooking the Elsa Valley. Tommaso said that there is organic farming and C02 zero emissions. He believes that there should be as little interference by the wine-maker as possible. There are 25 hectares of vineyards and they are between 270 and 300 meters. The vineyards are on two slopes, which have different characteristics. The winery has the same boundaries that it had in 1865. He also said that the wines go very well with food because of the good acidity and the aromas and flavors of the Sangiovese grape. They only make 4 wines, the three Chianti Classico listed below and a Vin Santo. 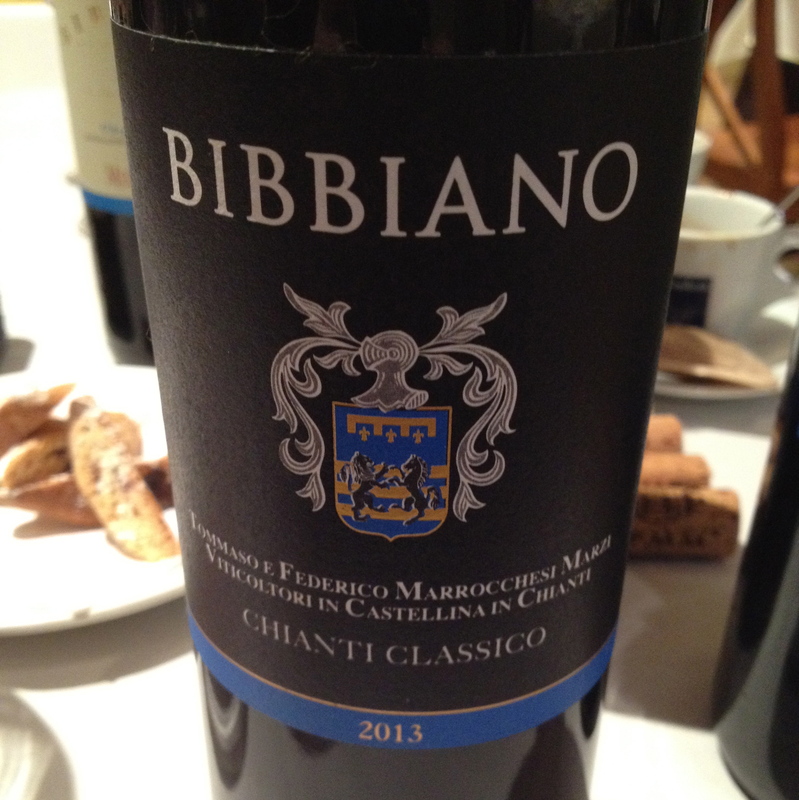 Chianti Classico Bibbiano DOCG 2013 made from 95% Sangiovese and 5% Colorino. The production area is Bibbiano and Castellina in Chianti from all the vineyards of the estate (25 hectares) from both the southwest and northeast slopes. The soil is calcareous-clay mixed with (limestone based) alberese rock. Tommaso said that this wine represents the territorial characteristics of the estate since it is produced from Sangiovese grapes grown on both sides of the estate with the addition of a small amount of Colorino. Havesting of the Sangiovese began on September 20th and Colorino a few days later. The vinification takes place in cement vats and fermentation on the skins lasts for 18 days. Then he opened the 1995 and it was wonderful. 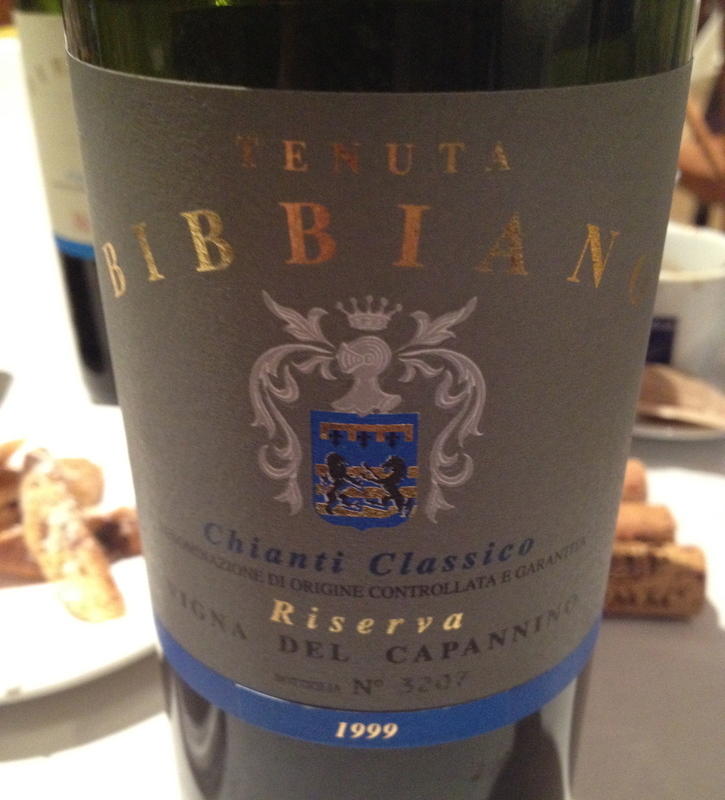 It is an example of a great twenty year old Chianti Classico that I could not stop drinking. Chianti Classico “Vigna del Capannino “ Gran Selezione” 2011 (this is a recent classification(2010)-it is a wine made exclusively from a winery’s own grapes grown in its finest vineyards according to strict regulation- it is on the top of the Chianti Classico pyramid) 2011 100% Sangiovese Grosso from the Vigna del Capannino vineyard. Tommaso said that the vineyard is located on the southwest slope of the estate overlooking Monteteriggioni. He feels that this vineyard represents the best expression of what he calls the “genius loci,” the spirit of the place. Harvesting is by hand in the middle of October. After the alcoholic fermentation there is long maceration on the skins for 25 days. The wine was aged in barriques, tonneaux and large Sloavonian oak barrels for 24 months. The wine remains in the bottle for about another six months before its release. This is an elegant, balanced wine with hints of cherry, spice, and violet and a touch of sunshine on the Tuscan pines $35. 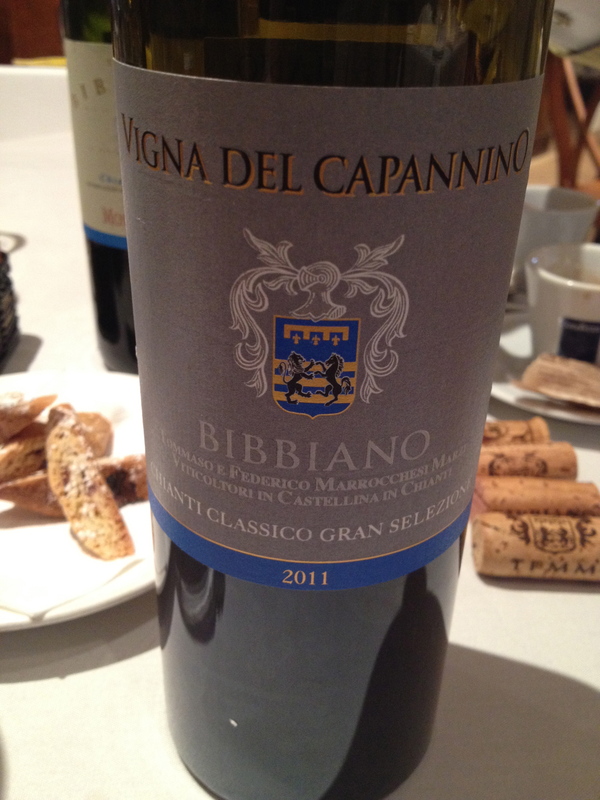 I was very impressed by this wine and it is one of the best “Gran Selezione” wines that I have had to pleasure to drink. It retails for $35 and this is a great bargain!! Tommaso then opened the 1999. At first he said it was not showing well but after about five minutes in the glass it began to open up and it was wonderful. 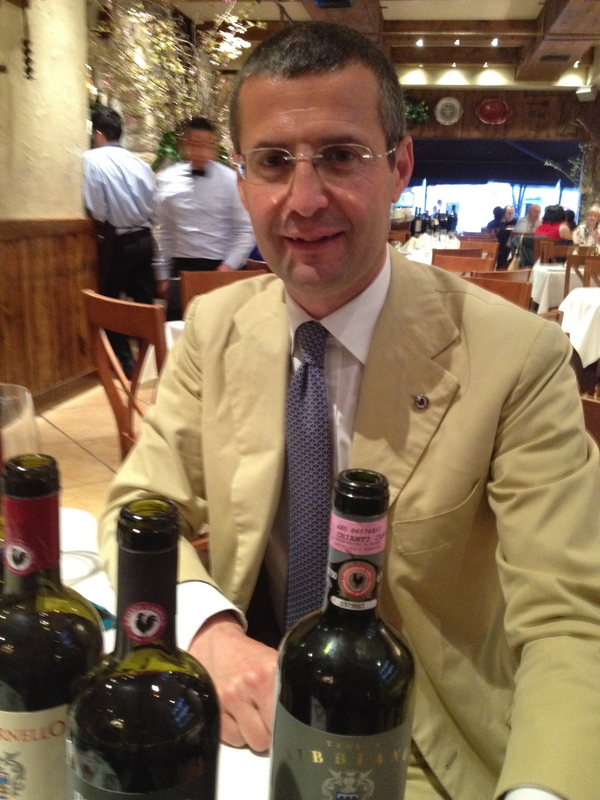 He said that Giulio Gambelli who was the winemaker for more than 60 vintages made the 1999 and 1995. In 2000 Stefano Porcinai became the wine maker. This is a great example of how Chianti Classic can age and still retain all of the aromas and flavors of the Sangiovese grape, sunshine on the Tuscan pines- Siamo in Toscana.